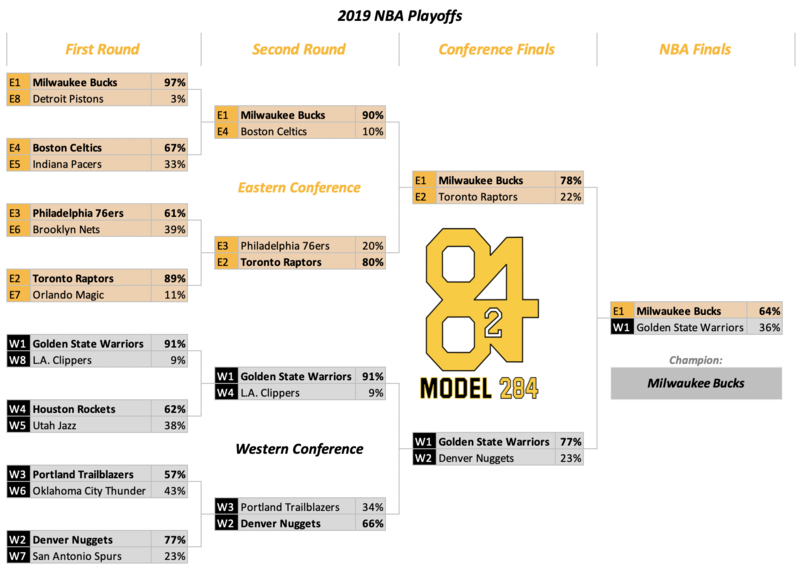 Below is our projected bracket and simulation results for the 2019 NBA playoffs. 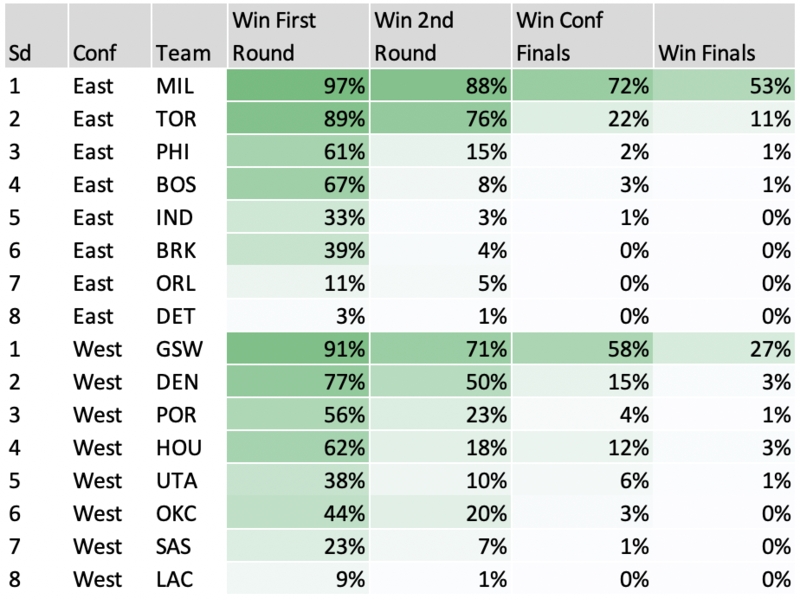 These probabilities were generated from a combination of models that are trained on data from the regular season. Our models include team statistics such as point differential and offensive efficiency, as well as player-level variables such as usage rate, BPM, and VORP for key players on each team. For more information on our modeling techniques, check out this article from a few years ago, or, our methodologies page. Since 1990, our models have correctly predicted the outcome of 80% of all playoff series in out of sample predictions. We are predicting a very chalky bracket for 2019. Our models are buying in on the Bucks – we’ll see if their lack of playoff experience catches up with them, or if they will continue to roll.